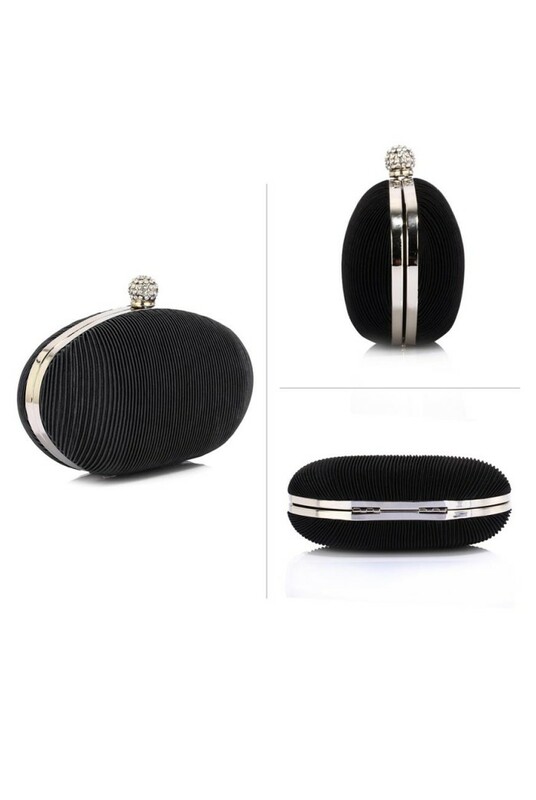 Sometimes it is the simple things in life that give us the most pleasure and this Black Oval Clutch is a wonderful example of just that. Understated but kept interesting with those pretty pleats and ornate clasp, this 1950s evening bag brings an air of Audrey that guarantees sophistication. 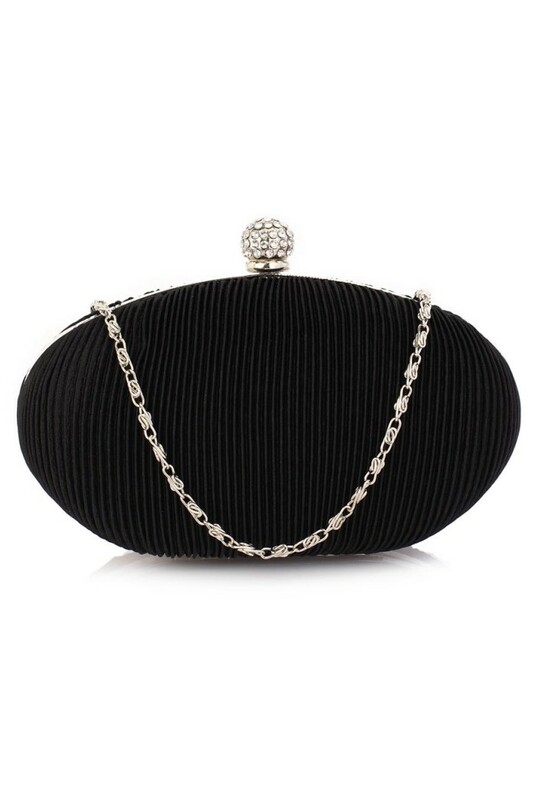 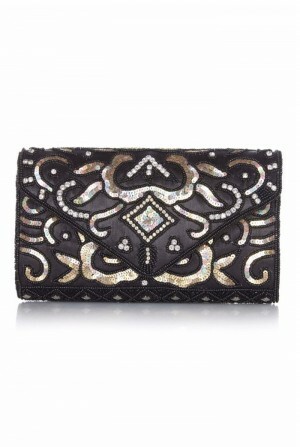 Not only will this black vintage clutch work wonderfully with an evening prom but this satin evening handbag also looks amazing with jeans and a leather jacket to give your relaxed evening vibe a bit of oomph. This is a black oval shaped handbag with black satin effect fabric covered in tight pleats, opening with a push clasp and featuring a diamante clasp. The bag also has a hidden metal chain shoulder strap.